Our organisation is led by a Chair and Vice Chair who support the guiding principles and aims of WaMH in PC to promote and improve primary mental health care across Wales. The Chair's tenure lasts for 3 years with the option of a further 3 years to be agreed by the Core Group Members and ratified by RCGP Welsh Council. The Vice Chair's tenure also lasts for a period of 3 years. The current WaMH in PC Chair is Dr Mark Boulter. For further information about their mental health expertise and qualifications for their respective posts please read their following biographies. Dr Mark Boulter has been a GP in Carmarthenshire for 18 years, and has been a job-sharing partner in Llanfair Surgery Llandovery since 1994. Since undertaking a six-month psychiatry post at St David’s Hospital, Carmarthen, in 1988, he has had a long-term interest in mental health issues in the primary care setting. He has been the primary care representative on the Mental Health NSF Implementation Advisory Group since its inception, and is a founder member of WaMH in PC. He is also Secretary of RCGP Wales. It is been his long-term ambition to get policy makers, commissioners and all primary care staff to raise the profile of mental health in primary care, especially in view of the enormous work-load it involves and the often startling lack of training and confidence in this area. He won a bursary award in 2003 to run a mental health awareness training day in the Towy Valley covering two GP practices (including all reception, admin, nursing and medical staff), the CMHT, OAP Psychiatry team, users/carers and the voluntary sector. He is also working with many other partners in developing a pan-disability training package for primary care in Wales (EquIP Cymru). Outside of medicine he is interested in music, coaching junior football, cycling but has not managed to accomplish them all at the same time. 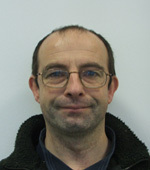 Peter has almost 40 years experience of working in the public and government sector in Wales and England. For the last 10 years he has worked in the field of mental health, first as the Policy Lead for Adult Mental Health Services working for the Welsh Government and more recently as Public Affairs Manager for Hafal - Wales’ leading charity run by people with serious mental illness. In both these roles Peter has promoted the importance of service user and carer involvement seeking to ensure that their voices are heard loud and clear in the planning and development of services. Other than mental health his interests include politics, Egyptology and whisky.